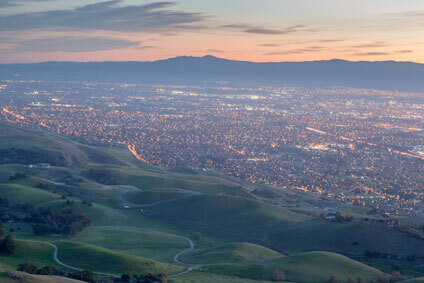 With 300 days of sunshine, San Jose, CA offers great weather to take in the rolling hills to the east and west and the San Francisco Bay to the north. When the light rain comes in the winter and spring, those hillsides turn green with grasses, making for a lush tapestry. What better way to take in those scenes all four seasons of the year than with a Global Solarium Sunroom? With the varied look of many San Jose homes, Global Solariums has enough styles to fit in with any architecture. The most favored of these designs are the Curved-Eave Sunrooms, which employ a continuous-beam design that makes for a smooth transition from house wall to sunroom. These rooms are perfect for adding extra square footage to your home, bring in addition natural light, and provide a place to take in those occasionally rainy days in comfort. Straight-Eave Sunrooms feature more angular looks than the curved-eave sunroom, but are just as elegant and seamless when added to your home. All sunrooms come in three standard materials – wood, vinyl and aluminum – and many custom colors to make sure you get the look you want. On the construction side of things, Global Solarium uses thermally broken, heavy gauge aluminum frames and double sealed, dual pane insulated glass. This construction provides a sturdy foundation for your sunroom. To add a little more interest your sunroom, there are several window options as well. Sliding windows and single-hung windows are available options and awnings and casements can be clad in vinyl, aluminum, or wood. For more information on sunrooms – or conservatories, patio rooms, and other kinds of enclosures, contact Global Solariums for more information today!